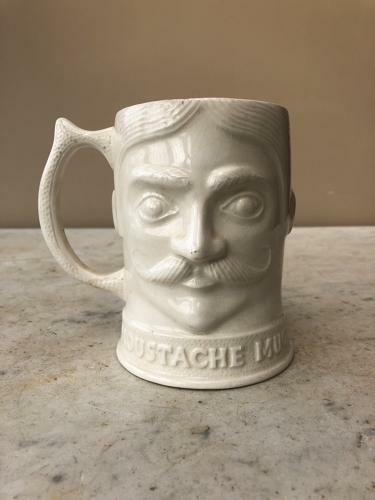 Mid Century White Ironstone MOUSTACHE MUG. Made by PRICE KENSINGTON. Much more unusual in plain white. All over good but there is a weeny chip at the top one side...please see pics.